Effect Of Climate Change On Wine is a photograph by Philippe Psaila which was uploaded on July 24th, 2016. Effect of climate change on wine. 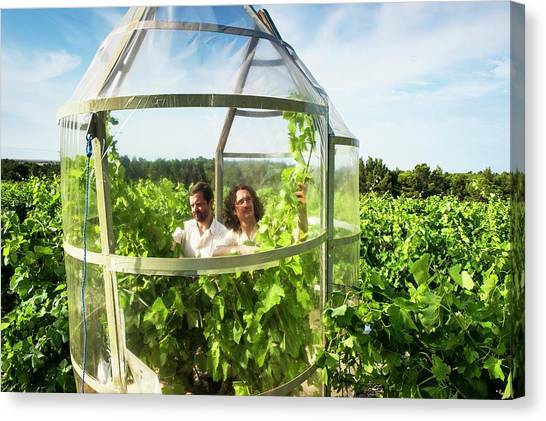 Researchers studying the impact of changes in climatic conditions on the growth of grape vines (Vitis vinifera). 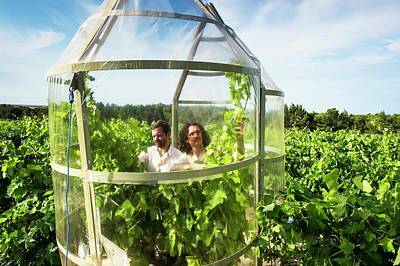 The plastic tent allows environmental conditions, such as carbon dioxide levels and temperature, to be controlled and varied. 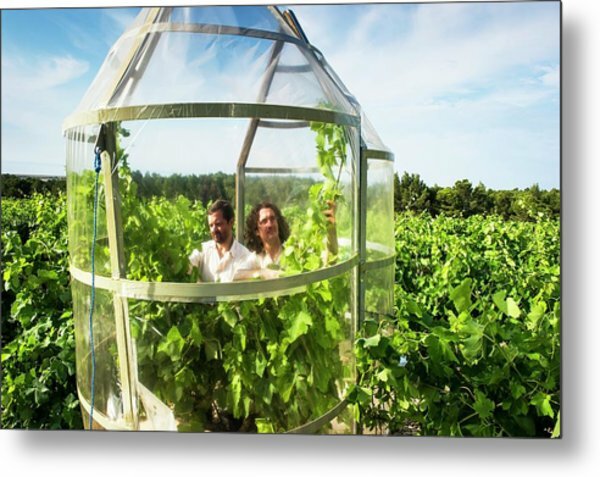 This allows the physiological response of the vines to these variations to be measured in order to predict the consequences of climate change on plant health and grape production. 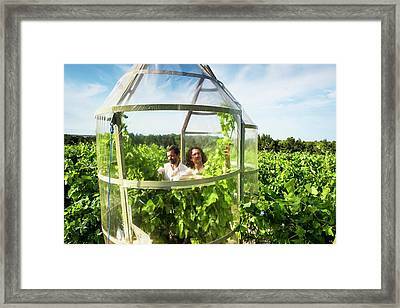 Photographed at the INRA (Institut national de la recherche agronomique) station, Pech Rouge, France. There are no comments for Effect Of Climate Change On Wine. Click here to post the first comment.